NEW YORK, June 7, 2018 /PRNewswire/ -- FRESCO recently announced a $5M angel round financing from Elastos co-founder Dr. Feng Han. FRESCO is committed to facilitating provenance, promotion and liquidation of artworks through blockchain technology and Elastos platform. FRESCO is another key investment made by Dr. Feng Han after his angel investment in NEO. 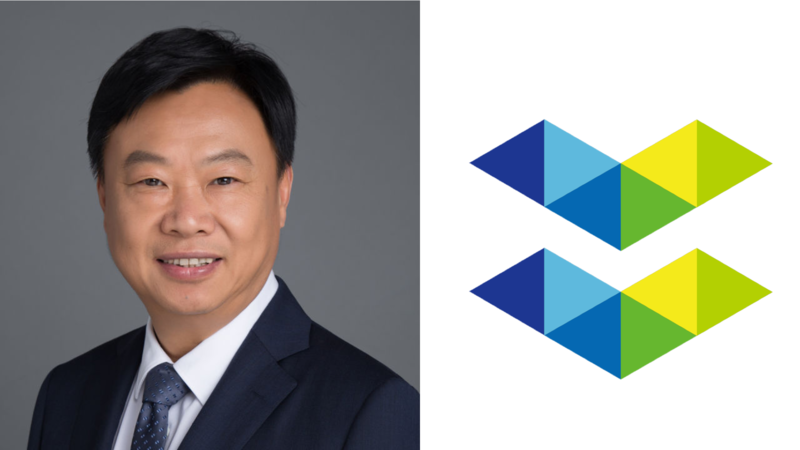 As a Ph.D. in Quantum Mechanics from Tsinghua University and an influential academic figure in the global blockchain industry, Dr. Han is an angel investor and co-founder of Elastos; a member of the Board of Directors of the Cloud Foundation and a member of the Bitcoin Foundation. 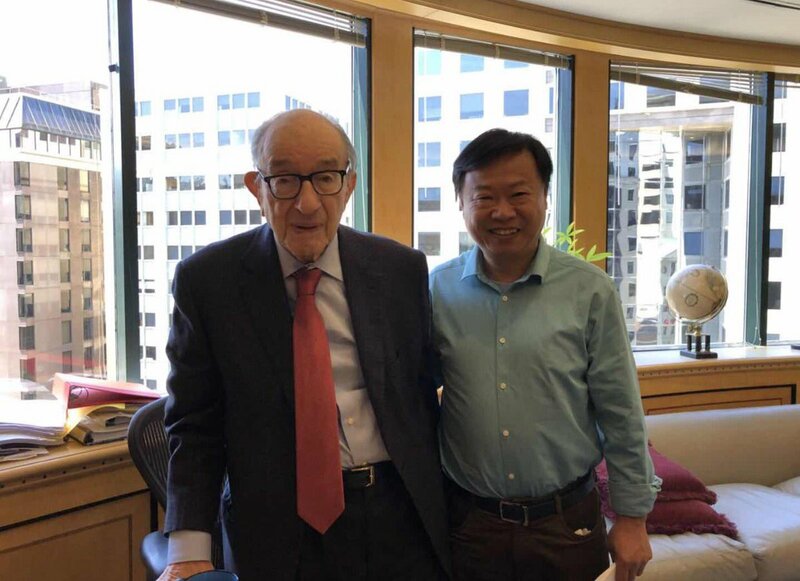 He is the project leader of the 15th-level plan of the Tsinghua University "Innovation talent evaluation and selection based on the Internet (big data)" and the partner of the Oracle Foundation of the United States. Dr. Han said in regard to investing in FRESCO: "Now an ecosystem is needed to allow a large number of decentralized applications (DApps) to be implemented on the premise of security and guaranteed performance. The current blockchain technology lacks an entrance to widespread adoption, Elastos will be that ecosystems which enables issuance of digital assets in limited copies and generates value. FRESCO is the best example of Elastos and blockchain technology in the art industry. I am very optimistic that FRESCO will significantly increase the current only $70B global art market. With the rapid economic development and wealth accumulation in China and other countries, a large number of middle & upper class will emerge and be looking for suitable investment channels. It is time to make more people invest in art through FRESCO. Blockchain-based art data should be wealth for everyone, and it will maximize the interest of artists, museums, galleries and other art institutions and individuals in such a decentralized blockchain platform." FRESCO established a global strategic partnership with Elastos in April. FRESCO is one of the first DApps in Elastos, enabling art digital assets to be issued and traded, enabling everyone to own digital assets, creating a future of data wealth. This will make the Internet become a revolutionary "Data-As-Wealth Internet". FRESCO has gained extensive attention and support in the overseas arts and blockchain industry: Famous artists, collectors and head of the Bitcoin Foundation Brock Pierce and co-founder of Ethereum Charles Hoskinson publicly praised FRESCO for advocating the digitalization of artworks. The FRESCO team has very extensive relationships in the art world. Not only did it become the exclusive partner with the DSL Collection, the world's top 3 contemporary art collection foundation last year, together promoting the blockchain digital assets of art; FRESCO's founder Roy Huang is also invited to be a panel speaker at Forbes Art Basel Conference as the only speaker from China. The chairman of TEFAF board and the head of Art Basel Digital Platform will also be discussing the future development of the art market. In the globally opaque regulation landscape, FRESCO stepped away from ICO and launched the world's first Initial Coin Distribution (ICD), distributing 300 million FRESCO tokens to the global community. Participants who scored 80 points and above in the 100 art problems that are getting harder every week will receive 2,000 FRESCO tokens. Since the beginning of ICD on April 25th, FRESCO has been popularizing art knowledge to nearly 100,000 people in the world in less than two months. In the third week of ICD art tests, nearly 40,000 people have gone to their local art galleries, museums, and galleries to complete the ICD test. "Crowdfunding through ICO is not the best practice in today's complex market. Although the team can quickly get a lot of money, apart from regulatory reasons, the financial damage caused to retail investors due to market volatility is quite extensive. For FRESCO, with our team's strength and clear insights in the art world, we can directly get funding from VCs and other institutional investors without the need to impose risks on the global community supporters. We will be able to provide 'crowd-giving' through the ICD, truly creating value for FRESCO supporters." FRESCO has attracted a significant number of institutional investors because the FRESCO blockchain platform is only a part of the FRESCO Brand, which functions alongside FRESCO Gallery, FRESCO Art Investment Fund, FRESCO Art Magazine and the FRESCO Non-profit 501(c)(3) Art Foundation. The FRESCO team is dedicated to building a comprehensive system to cultivate emerging artists and truly creating value for them in the art world. FRESCO mainly consists of FRES Trust and FRES Edition. FRES Trust is a blockchain-based art value measurement system. Since the operation of the art market depends on price opacity, the FRES Trust is a referential index that allows users to add tokens in an irreversible way onto each artwork on the FRESCO platform. This value addition process has ample precedents in the history of art. For example, colophons on Chinese calligraphy and paintings along with gem bindings of precious Western books are all examples to express affinity in an artwork using another medium. FRESCO embodies this process in blockchain through the FRES trust value, enabling global users to express their affinity for an artwork through the decentralized scoring mechanism. The FRES Trust will enable art institutions such as galleries, auction houses, art exhibitions, museums and other institutions to express the degree of emphasis placed on their artworks in a manner that does not display nor quantify the market price, thereby giving art audience a clear and decentralized metrics. FRES Edition is the limited digital assets for a single piece of artwork issued by the art holder. The system will generate limited edition artworks (Prints & Multiples) on the blockchain. The market for Prints & Multiples has existed for many years and continues to grow. However, there are problems such as the authenticity and high transportation costs. Through the FRES Edition, the release of limited edition artworks will be based on the single piece of artwork data uploaded to the FRESCO platform and its accumulated FRES Trust. The FRES Edition eliminates the space and time constraints faced by today's limited edition artwork, enabling unquestioned artwork traceability and confirmation. The FRES Edition can also be rendered in real life in 2D/3D printing, this is for collectors who need to appreciate the beauty of art and prove that he is the digital copyright holder of the artwork. In addition to exponentially increase the number of art collectors, FRES Edition allows artists to raise funds for his next artwork creation, and at the same time bring enormous potential revenue to museums, art galleries, and other art institutions. As the number of visitors to museums around the world is declining and tourists lack a good interaction with art today, museums can issue FRES Edition to attract global tourists and make tourists become blockchain data holders of museum-level artwork, not just go to a museum for taking photos. The current art fair model will also be innovated by FRESCO. The galleries participating in the art fairs can generate extra revenue from issuing FRES Editions of their exhibited artworks. The small and medium galleries will no longer bear the cost of promoting the artists alone because the holders of FRES Edition also want to increase their FRES Edition value. The owner of the FRES Edition can add the FRESCO tokens to the corresponding artwork. In this addition process, the FRES trust value of the artist's actual artwork increases and so will the FRES Editions of this artwork increase value proportionally. FRES Edition holders actually share some of the costs of promoting artists in galleries. This is a win-win situation. Galleries can have more art patrons around the world, and art patrons can more directly promote the artists they love. "Since the inception of FRESCO, the goal of our entire team has been very clear, we are here not to bring volatility to investors and raise rapid funding through ICO, but to improve and innovate the global art market, and to ensure that these improvements and innovations will only exponentially expand the interests of all parties in the art world. "FRESCO is committed to letting people know that stable investments are not just real estate, stocks and other channels. Art investment has been one of the most stable investment channels since ancient times. Only when the current art investment channels and pricing power are extremely centralized and controlled by a small number of collectors and galleries. This can be done in the era of closed information hundreds of years ago, but now with the openness of information and the ever-increasing number of upper & middle classes in the world, it is time for more people to know the huge returns from art investing. And this huge return can further promote the development of the entire art industry."